Oh, man. I’ve seen houndstooth afghans before, but I cannot really recall seeing a knitted afghan pattern for one before. This is really some awesome colorwork! You’ll need to register for a free account at Free-Knit Patterns.com in order to download this free pattern. Designed by Lois S. Young. 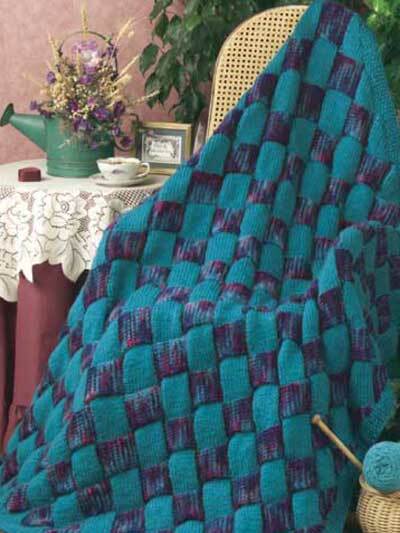 Sapphire and silver, along with a lovely houndstooth pattern, combine to make a one-of-a-kind afghan. Afghan size: 42 x 57 inches (appx)(blocked).